The River Basin Community (RBC) Elbe is responsible for both national and international water management cooperation and coordination as well as flood risk management in the German section of the Elbe River Basin District. The RBC Elbe takes on the task of a national office for water management cooperation and coordination in accordance with the Water Framework Directive (WFD). Furthermore, the RBC Elbe has the task of implementing the Flood Risk Management Directive (FRMD) through the assessment and management of flood risks. 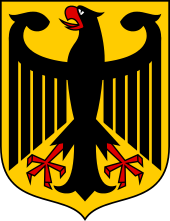 The basis for cooperation between the 10 Federal States and the German Federal Government are defined in the administrative agreement and the rules of internal procedure.